Expert understanding of web markup, including HTML5, CSS3. Good understanding of basic SEO principles. 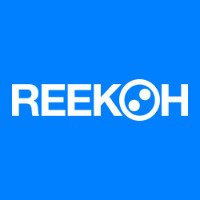 Reekoh is blazing a new trail of platform capability for the Internet of Things. Our Integration Platform as a Service (iPaaS) and related tools are purpose-built for the IoT and are enabling enterprise customers, system integrators and IoT solution providers a pathway from PoC to scale using an integration approach. Our UI Engineers build the interfaces to the products our customers love. They work directly alongside our Head of Operations, Software Engineering and QA teams in our modern facilities in Manila, bringing our product vision to life. We look for people that are eager to learn, to jump in and to get moving fast.